According to recent research into what makes a suburb appealing, good street trees are one of the main differences between a good suburb with strong house prices and a less desirable place to live. Quite simply people equate green, leafy streets with prosperity and good living. However, many of the gracious trees that line the streets in our most desirable suburbs would not be planted today. Trees such as poplars, elms and plane trees or jacarandas and poincianas in warmer climates, that were favoured by town planners of yesteryear, are now seen as too big and offering too many potential maintenance problems to be suitable to plant today. Many of these trees are no longer selected for street planting and others are being removed and replaced with different species as they reach the end of their lifespans. Elms for example, which survive in streets and parks in southern Australia, are seen as a ticking time bomb as these trees have been devastated by Dutch elm disease in most other parts of the world. So far, although we have the vector that spreads the disease (the elm leaf beetle), we don’t yet have the pathogen in Australia. 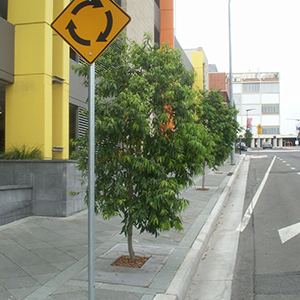 Even street trees widely planted in recent years are being reassessed for their long-term suitability. In more recent times the pyramidal shape of the Bradford pear saw it being widely planted city and suburban streets. While these now mature trees do look spectacular, especially in spring blossom and autumn leaf colour, they present maintenance problems as the variety chosen, although ornamental, does produce small fruits that form a slip hazard on pavements in summer and autumn. As well, its branches were often subject to wind damage and splitting. Some factors that make large, spreading trees so problematic for use as street trees can be overcome with planning and careful management. Underground or bundled overhead wires and broad planting strips to accommodate the tree’s growing roots and water needs are necessary for safely growing and maintaining large, spreading street trees. Where these demands can’t be met, those making street tree planting choices need to select tree varieties that can live in harmony with the street and its users with minimum maintenance. The ideal street tree from a maintenance point of view is one that has a tall, straight trunk that spreads its branches above head height. 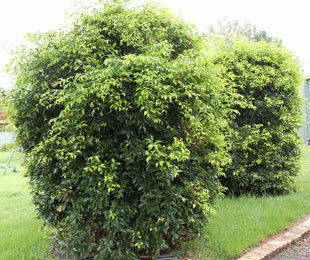 It needs to be tolerant of pruning, resistant to drought and pollution, and must also be neat and tidy in its habit. This means no dangerous fruits and potentially slippery flowers, twigs, bark or branches to drop on the pavement or street below. Root systems should also be safe, not highly invasive and not prone to suckering. 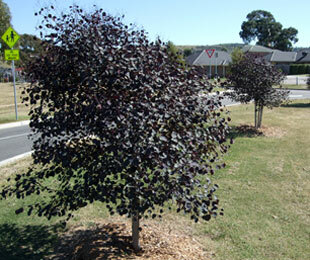 In many areas native trees are demanded for public plantings. 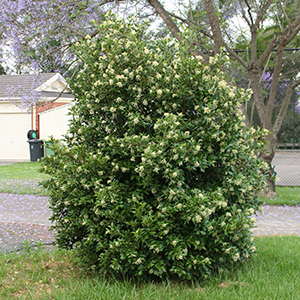 These are usually evergreen trees. From an aesthetic point of view, street trees need to create an appealing street view, which is accentuated by uniform growth and size. The choice of a named variety rather than a species usually delivers on this need for uniformity. A good street tree should also provide shade for both pedestrians and parked cars, and offer interest to the street scene for example from their flowers, leaves or bark. When assessment is made of trees for their potential use in street plantings the number of truly suitable species and varieties drops considerably when all criteria are met. All tree growers are on the hunt for tree varieties that will deliver as street trees looking at both traditional and non-traditional choices. Improved forms of traditional trees can allow historic plantings to be replanted to recreate a landscape that is in keeping with the heritage of a particular street. For example, they hybrid, rust-resistant poplar ‘Veronese’ may have a role in replacing aged and diseased poplars in commemorative avenue plantings. 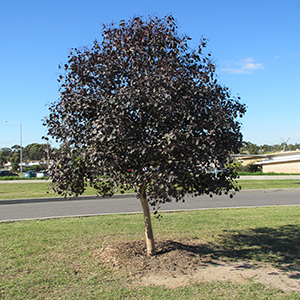 In new suburbs, or where heritage concerns don’t shape tree selection, planners and horticulturists will be happy to discover that there are named cultivars that suit street tree planting across Australia. To meet current specifications for trees (currently under review), plants grown for street trees should have a clear trunk to at least 1.8m, produce little or no fruit, have strong branches and good tolerance to climate extremes and soil variation. 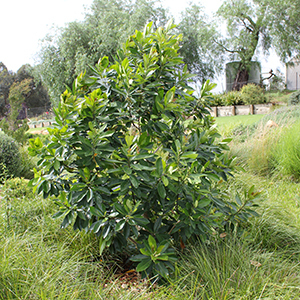 When selecting individual plants look for those grown for street-tree planting by a reputable nursery. Look for plants that have been root managed and show no sign of movement in the container and have a good tapered trunk. Below we have listed our ‘Top choices for street planting’. 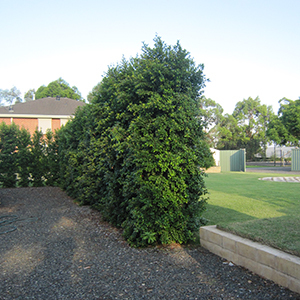 These tree selections are also well suited for use to line avenues or walkways in parks and gardens or to choose for driveways in domestic landscapes. 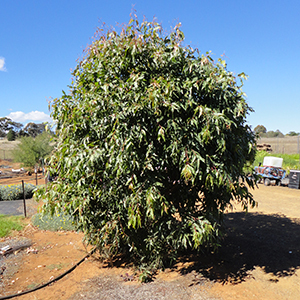 These trees grow with a strong single trunk and, once established, are tolerant of a wide range of soil and climatic conditions including drought. Climate: Cool to cool temperate. Southern NSW, Victoria, South Australia.